The artificial Christmas tree first came into existence in Germany some time during the 1800’s. They were created to prevent the deforestation that was occurring due to the popularity of real Christmas trees. 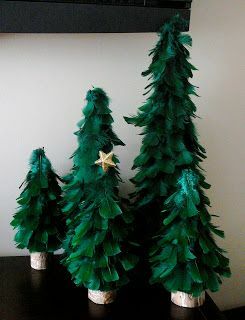 The first artificial Christmas trees were made out of dyed goose feathers.